I have been meaning to make this shirt for awhile now and I thought how perfect it would be to wear for Valentine’s day this year. For my supply list & full step-by-step tutorial please go here to view my DIY screen printing tutorial. Begin by downloading the zip file below. 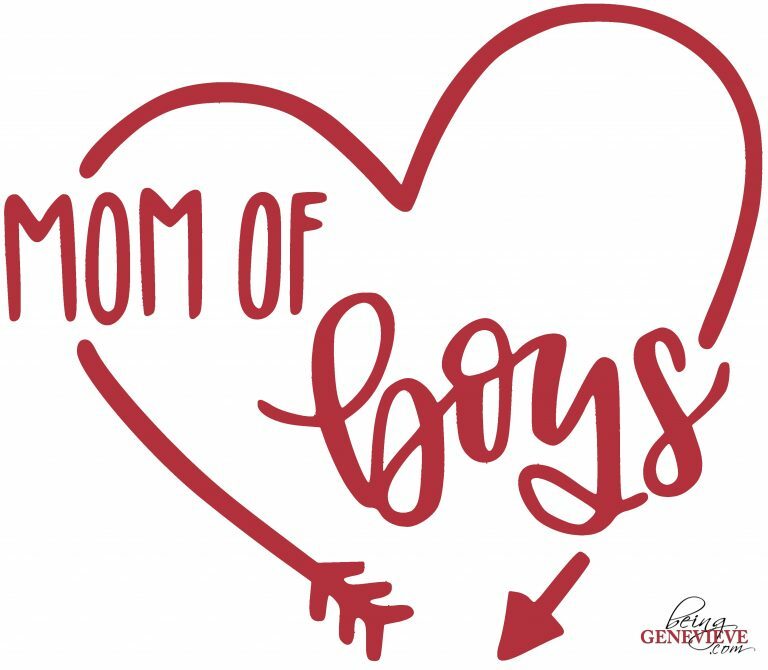 It includes the SVG file and PDF file of the “Mom of Boys” design. Cut the images with vinyl or freezer paper (just as I did here) and apply to the shirt. Now proceed with the steps that I recommend here for doing your screen printing at home. 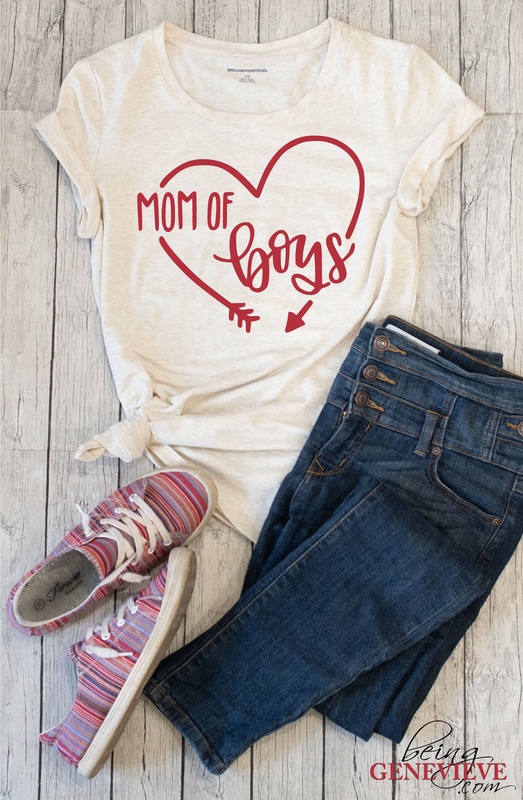 It’s very easy and so perfect for you mom’s out there that have a house full of boys like me! I love the pinkish-red design for Valentine’s. 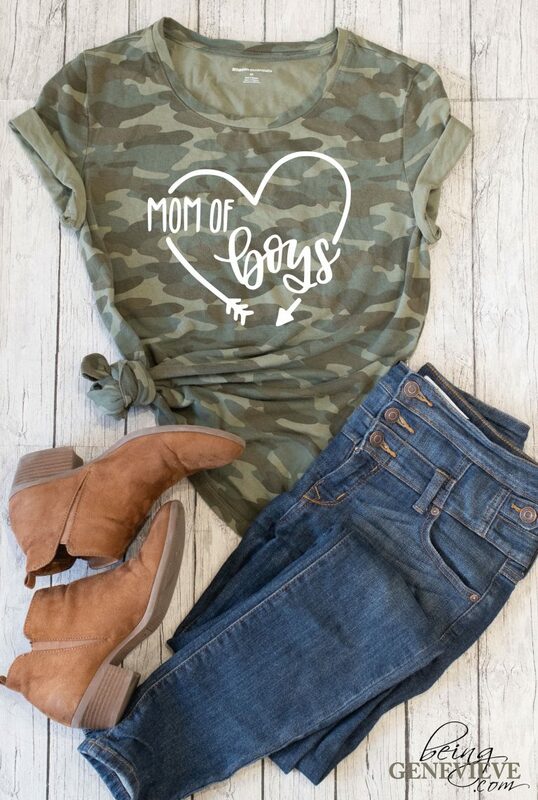 BUT I absolutely love the camo shirt (here is where I bought my camo shirt) design, since I am a mom of 5 boys. There is just something about the camo that says BOY. Am I right? Super cute, Genny! So fun that you have 5 boys!